Early in January, I bought different packs of watercolor pads from Jackson’s Art. I wanted to try different brands of watercolor paper. One of which was a pack of 25 Fabriano Artistico postcards. 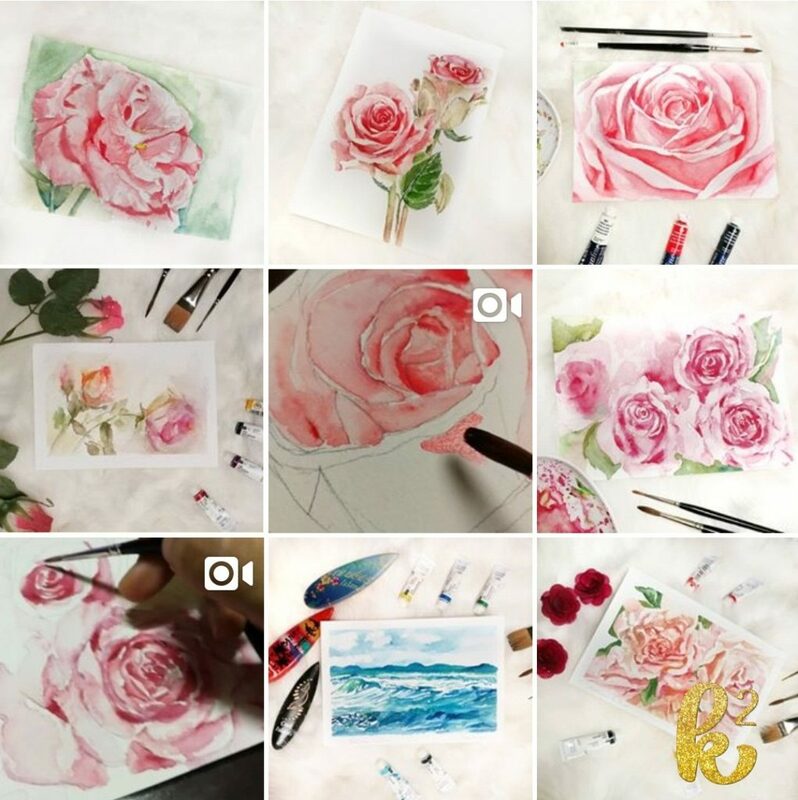 I painted on these cards in January only when I felt like painting. 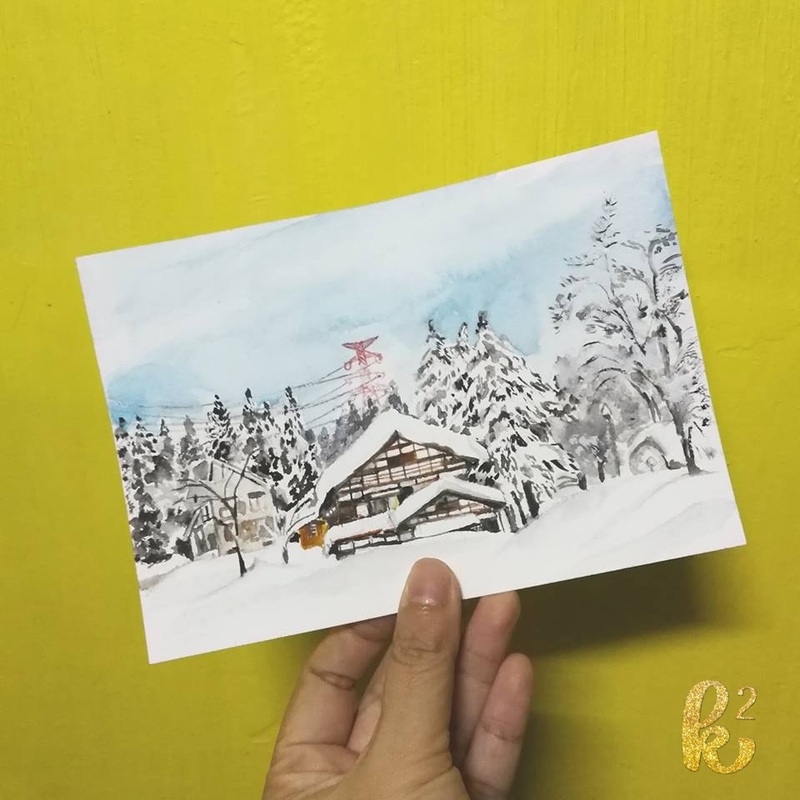 My first postcard was a winter scene from Niigata Prefecture in Japan where my friend Grace lives. 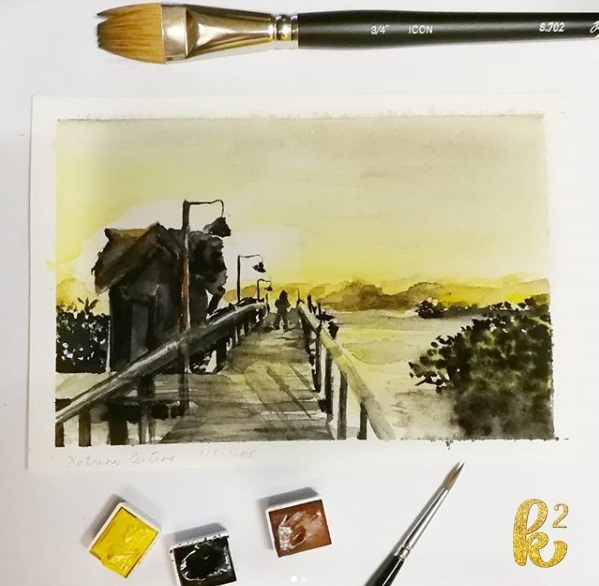 The next postcard was a sunset scene where I also created a tutorial on how to paint it. I guess I was busy from February to May because the next postcard I painted was done in June. 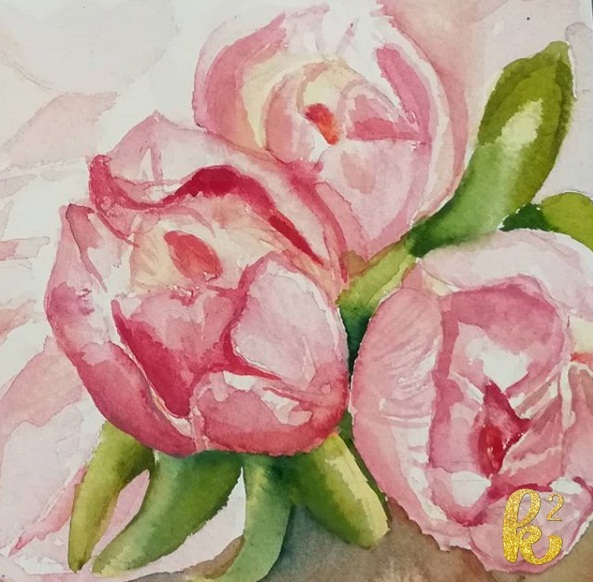 I also have painting tutorial on how to paint these tulips. I was pretty hard working in June and painted all these. In July, I challenged myself to not paint flowers and I was happy with this little accomplishment that I posted this photo on Facebook. Two of my friends (who happened to be husband and wife) took notice and asked me if they can buy all the postcards. 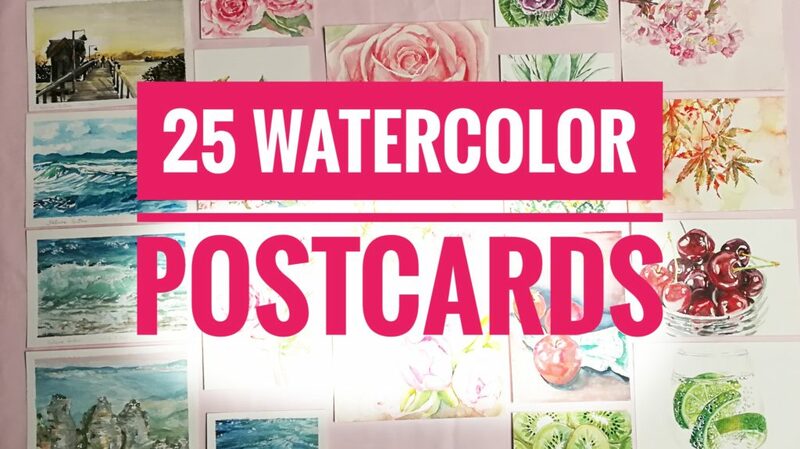 I knew I had 4 empty postcards left of the 25 so I offered that they might want to wait for the rest of the postcards to be painted so they could chose which postcards they would like to buy. Without hesitation, they offered that they will buy all the 25 postcards. My jaw dropped. They have not even seen the rest of the 15 postcards! I am grateful that they appreciate my art. 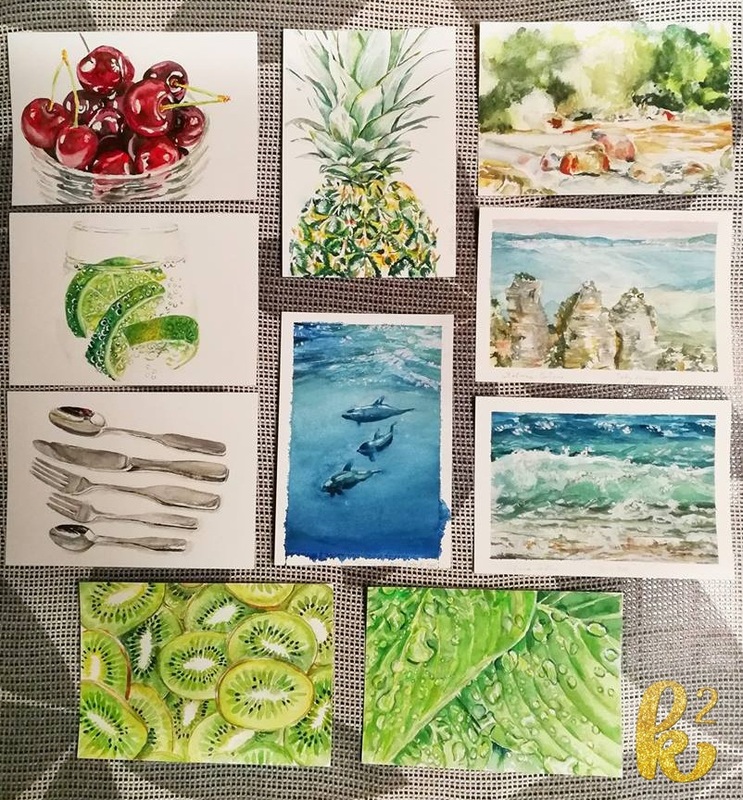 As a little token for their appreciation, I asked what they wanted me to paint on those 4 postcards. 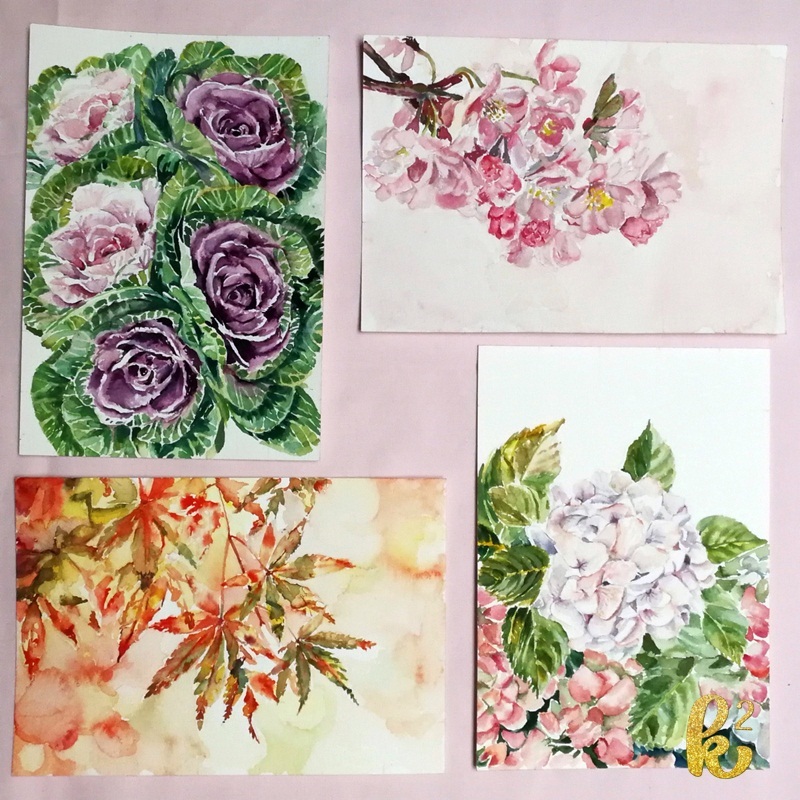 My friend asked for postcards representing the four seasons. 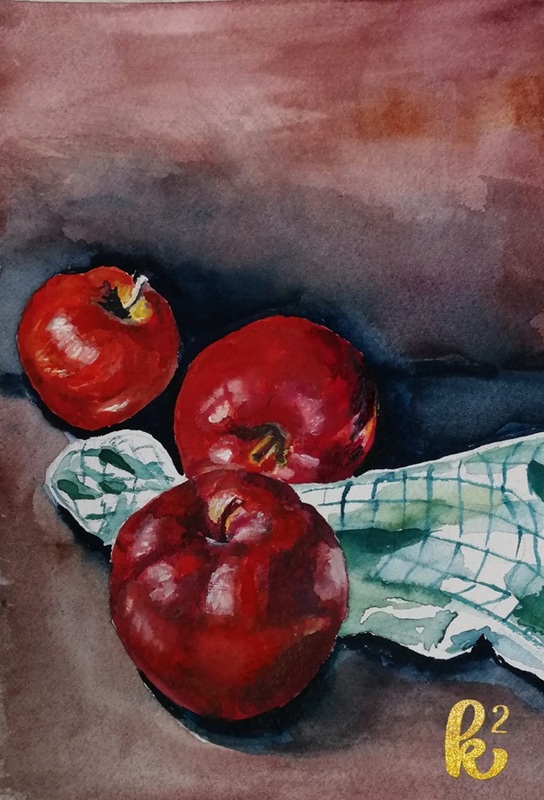 She picked what subjects to paint and it was up to me how I was going to paint them. I made these. And I then I found out I still have an extra postcard so I decided to paint this. And these are all the post cards in one photo. I hope my friends like them all. 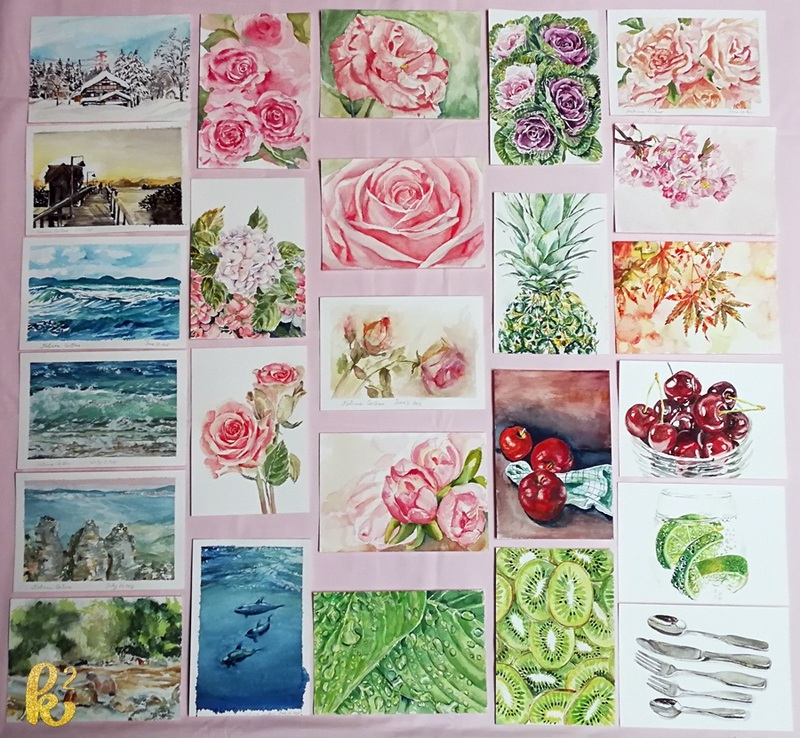 Since I will be saying goodbye to all these postcards, I made a Youtube video!